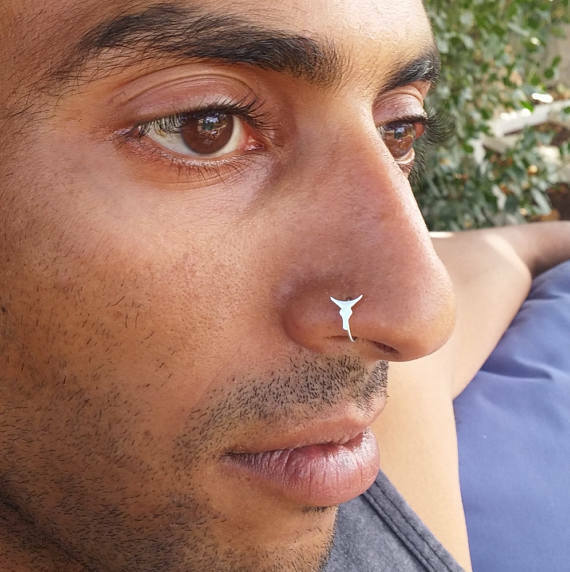 In today’s world, piercings in the nose are quite commonplace among people. Celebrities are even getting it done. They will have their nose pierced for their next movie, and then decide that they like it enough to keep it. 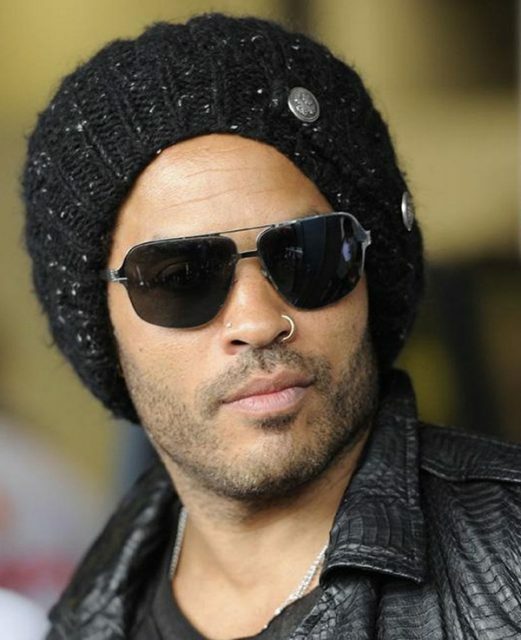 Some of the celebrities include Sinead O’COnnor, Madonna, Janet Jackson, and Lenny Kravitz. It is a popular fad that has caught on fairly quickly. These unique pieces of jewelry also help to accentuate your facial features and are very beautiful pieces depending on what you like. But do you ever wonder who was the first person to think about piercing their nose instead of their ears? Nose piercing started around 4000 – 6000 years ago back in the Biblical times. Rebekah was given the gift of a Shanf. This translated means nose ring. Leonardo Da Vinci came along with his own take on the structure of the nose saying it set the whole face. Allah Subhanah has allowed the believing woman to wear ornaments. Thus, if she wishes to pierce her nose and wear an ornament on her nose, there is absolutely no harm. There is absolutely no mention in the authentic narrations of the Messenger of Allah (saws) that he ever forbade the believing woman to pierce their noses. Besides, Islam is a Way of Life that absolutely discourages differentiation between human beings because of their status in society, and thus the logic of forbidding the piercing of noses just because the slaves might have done so is highly unlikely. In the 1500’s, people from India caught onto the tradition from Moghul emperors that ruled the Middle East. They would have a piece of jewelry called a ring stud in the nose. Sometimes there would be a stud on both sides of the person’s nose. Some people added chains to their studs and draped them back to their ears for a more sophisticated look. Most of the time, you will see the nose pierced on the left side as this is the side in Ayurvedic medicine that controls the female organs. Nose piercing became popular in the United States in the middle 1960’s. Some people who had traveled to India brought back the fashions and the jewelry fads. These long haired hippies of the time thought it might be a good revolt against everything that was going on at the time. Today, you can still find it in many tribes in Africa and in the Middle East. They think that the size of the stud in the nose is indicative of how wealthy the family is. It also gives the female something after the divorce to keep after everything is done. Punk style and youth groups in the 1980’s also picked up on the nasal adornments. You could also find the groups in England, Canada, Europe, and Australia. There was a growing popularity of piercing the nose. 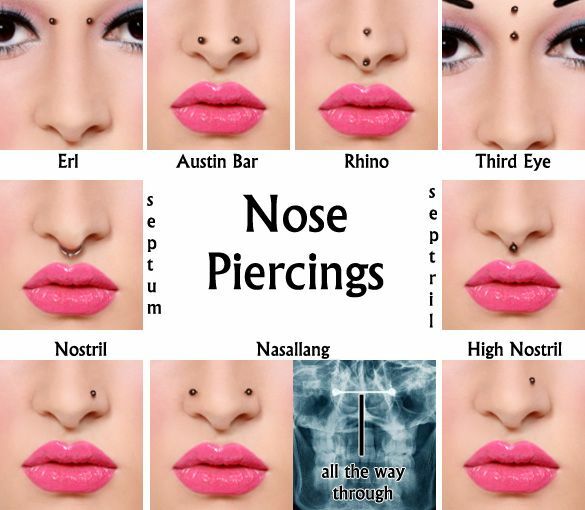 Some people will have multiple nose piercings, and some only have one. Depending on their taste and style, they may add or subtract as many as they want. 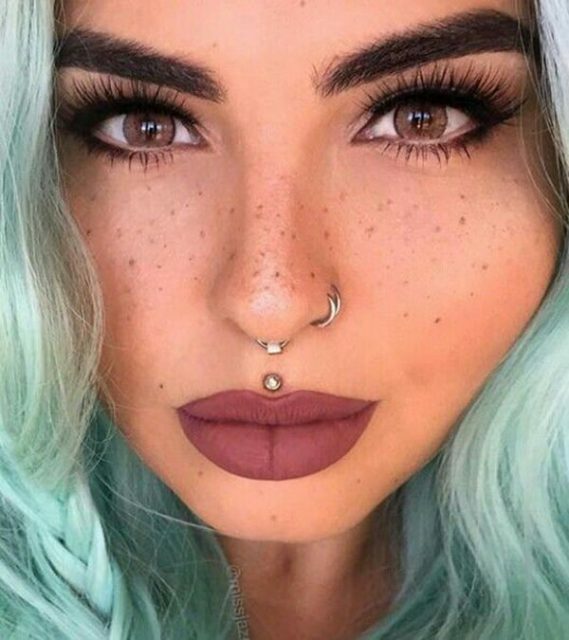 These studs can be found in one or both sides of the nose. They have nose screws, nose closure rings, and nose bones to add to your jewelry box. Any of these will work for you in your first piercing. All are popular among the group of people who like the piercings. Tribal jewelry in the nose is still found in Africa, South America, and Asia. The husband presents his wife with the nose adornment, and they go to get married. Many other nations include gemstones with their nose rings such as a diamond. This is the more stylish way to wear the nose studs. Many have intricate designs on them as well. These can be carved on the piece of jewelry to your specifications most of the time. So go get your girl a new piece of jewelry for a new piercing that she will love. Having the nose pierced is a great way to wear a hoop or a screw type of nose stud. See how many will work for you in the future. And if you’re looking for places to get nose pierced near me, the best choice would be going directly to the yellow pages website. For example, when you’re looking for nose piercing price near me go to the www.yelp.com and type in something like “cheap nose piercing near me” or “where can i get my nose pierced near me”. Half Sleeve Tattoos – What Others Say About It? Getting a Tattoo Will This Hurt? Body Piercing – A Form Of Beauty Where Less Is Definitely More! What is Industrial Bar Piercing? Ear Piercing Types Copyright © 2019.